he European Commission is sticking by its aim of imposing a full-scale ban on bluefin tuna fishing in the Mediterranean in the coming years to give the fishery stock a good chance to recover. This objective, vociferously opposed by Malta, was reiterated yesterday by the Commission's fisheries spokesman in Brussels in reaction to the sudden closure of this year's fishing season on Wednesday, a week earlier than scheduled. The spokesman said the Commission believed bluefin tuna stocks were dwindling rapidly and its long-term objective was to declare bluefin tuna an endangered species. "This remains our policy and we will continue to push this position despite the lack of consensus in the UN over the issue." Last year, the Commission proposed that bluefin tuna should be included in Annex 1 of the Convention on Inter-national Trade of Endangered Species (Cites), which would mean a ban on all international trade. Malta opposed this proposal but it was adopted by the EU. It was then defeated at the UN level through Japan's strong lobbying. 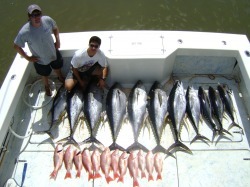 "Something needs to be done to save bluefin tuna. It's true we've lost the battle at the UN but we will continue to push," the spokesman said. According to the Commission, all member states obeyed the instructions given on Wednesday to recall all purse seine trawlers to port. Despite strong objections by the French fishermen, who contested the decision claiming some of their boats had still not caught their quota, the Commission's spokesman said all fishing boats headed to port by its deadline as verified through satellite images. Reacting to the French protests, the spokesman said the EU executive was duty-bound to close the fishery once member states were close to catching their full quotas. "We didn't want any over-fishing and so decided to call everyone to port as soon as it was clear quotas were soon to be exhausted," he said. Malta's quota, which this year amounted to 161 tonnes, was caught through traditional fishing methods using long-liners in the first week of this year's season. However, fish farm operators criticised the Commission's decision to close the season earlier than scheduled as they said quotas had not yet been reached. The Federation of Maltese Aquaculture Producers said the decision could cost them millions of euros in lost revenue as they still had to receive some 300 tonnes of tuna for their fattening farms. 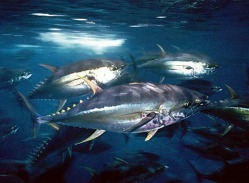 In 2009 Malta exported some €100 million worth of bluefin tuna to Japan, according to the federation.